It's rare for a piece of tech news to truly catch me off-guard these days — to actually make me open my eyes wide, mutter something along the lines of "crikey," and then scratch my gorilla-head as I try to make sense of what happened. Well, lemme tell ya, my fellow primate: That very thing went down last week when word broke that Google was moving dozens of employees off its laptop/tablet hardware team and into other roles within the company. The news got a bit buried amidst all the Android Q beta brouhaha, but as first noted by Business Insider, the shift affects both hardware engineers and program managers whose pending projects have been called off. It's part of a broader series of hardware-related "road-map cutbacks," the site's sources reported, and is seen as being a first step in Google's plan to "pare down" its product lineup. For a company that's been working hard to reinvent itself as a serious hardware player and swearing up and down that it's approaching this whole device-making thing as a long-term investment — with long-term goals — scaling back ambitions this soon sure seems like a strange move to make, at least at first glance. But as is often the case with this kind of thing, there's more to the story than what we see on the surface. My own sources close to the situation (who also spoke to this only on the condition of anonymity, as sources in these sorts of scenarios tend to do) corroborated the "dozens" estimate but emphasized that we're unlikely to see any immediate effect from this — that the current product road-map remains unchanged, that Google is still actively invested in the laptop and tablet area, and, critically, that Google is not eliminating any product lines or stepping away from any product categories. The pace of related launches shouldn't even be affected, in fact, according to their information — but rather, the idea seems to be that in the longer term, some previously planned expansions to Google's laptop and tablet product realms won't end up seeing the light of day. And remember: The shift is specific to the laptop/tablet wing of Google's hardware-making efforts. It has nothing to do with the company's other hardware projects, including the Pixel phone or any of the Google Home items. And you know what? Once you start wrapping your head around that reality and thinking through it further, the possibility doesn't actually seem so shocking. Think through it with me, and you'll see what I mean. To get at the real meaning of a cutback to Google's hardware road-map, we first have to step back and zoom out for a moment. Remember, the main point of Google's hardware program — this current version, headed by former Motorola CEO Rick Osterloh and initiated with the launch of the first Pixel phone in 2016 — is to gain greater control of the end-to-end user experience in order to provide the type of experience Google wants to provide. Osterloh himself has said as much, quite plainly and numerous times. 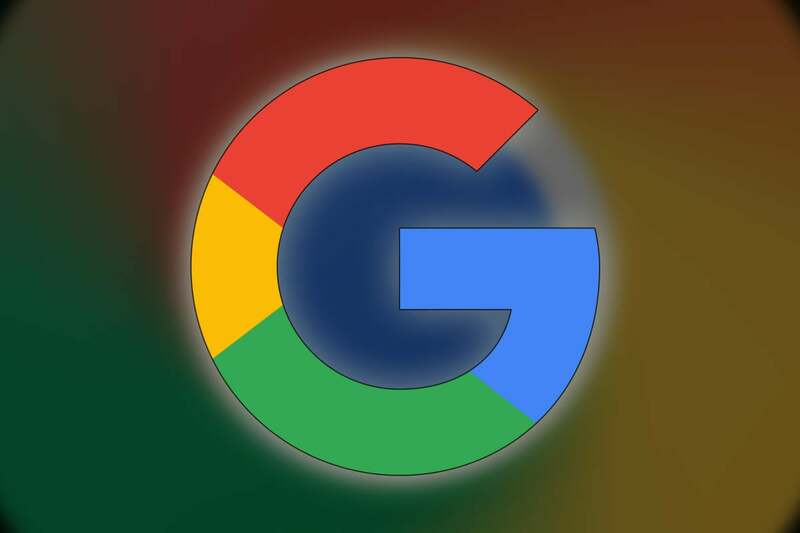 Specifically, what that means is that Google wants to make sure its services are front and center and positioned in a way that (a) makes them shine as much as possible and (b) makes them as prominent and appealing as can be to users of the products. More than anything, that goal ultimately seems to revolve around the Google Assistant — and for good reason, as we've discussed before. Fundamentally, we believe that a lot of the innovation that we want to do now ends up requiring controlling the end-to-end user experience. ... We needed to build a system that actually ran [Assistant] perfectly ... Our aim is to give our users the best possible experience. Now, with that context in mind, let's return to the revelation about this hardware pivot. We've established that Google started making its own hardware to claim control over the user experience and make sure its services — most importantly Assistant — were positioned for optimal success. With Android, that makes a heck of a lot of sense, given the way companies like Samsung restructure Google's software in manners that often de-emphasize Google services and instead promote competing alternatives (hi, Bixby!). On the Google Home front, it's not entirely surprising, either. The smart speaker category is still relatively new and rapidly growing, and Google wanted to get in on the ground floor and make sure to offer something that hit the nail on the head right away — something that was consistent with the rest of its ecosystem and would be poised for success. With Chromebooks, though, the situation is different. Chrome OS is well-established at this point and, despite what some folks somehow still think, is actually quite successful. And as anyone who's spent much time with Chromebooks knows, the user experience from one Chromebook to the next — in terms of the software and on-screen interface — is remarkably consistent. Unlike on Android, device-makers aren't able to change much of anything about the Chrome OS setup. Google controls every element of the operating system (which, yes, is a big part of why upgrades on Chrome OS are such a different story than upgrades on Android). Google decides where and how to present its various services, including the all-important Google Assistant. And the way it's positioning Assistant on Chrome OS may not be entirely unrelated to what's happening with this hardware shake-up. Thus far, despite lots of talk about Assistant coming to all Chromebooks (and plenty of under-the-hood work to prepare for such a rollout to happen), Assistant is still readily available on just two Chrome OS devices: Google's own Pixelbook and Pixel Slate. I personally own the Pixelbook, which has had Assistant present since its launch, and lemme tell ya: Having Assistant on the device isn't such an incredible thing. In fact, it's more odd and at times annoying than anything. 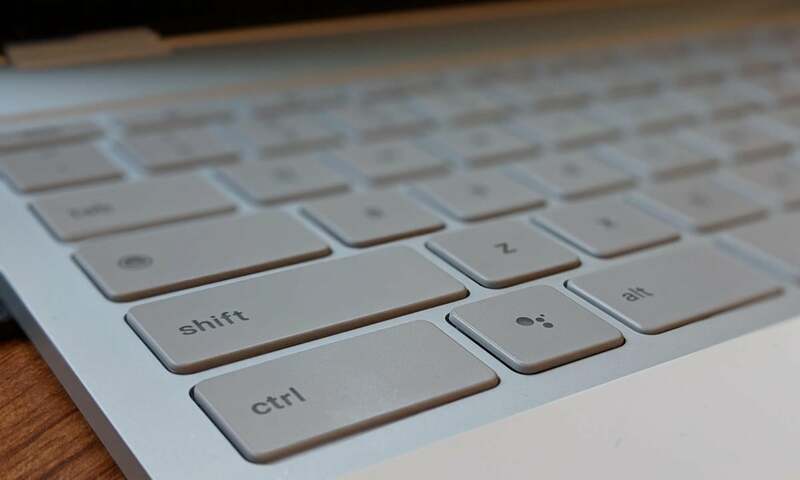 Allow me to explain: On a Pixelbook, the Assistant is accessible via a dedicated hardware button — a special key on the keyboard, located between Ctrl and Alt on the left side, that causes its box to pop up on the screen. And pretty much the only time I press the key is by accident, when I'm aiming for Ctrl or Alt or maybe using muscle memory and trying to hit the area where the Windows key (which serves as a Search key when a Windows keyboard is connected to a Chrome OS device) typically resides. I'm not the only one — in fact, enough people have complained about accidentally hitting the Assistant key and never actually wanting to activate Assistant that Google is now looking at the possibility of allowing users to remap the key to an unrelated function. So why is Assistant so impractical in its current Chromebook implementation? That's a good question, Gertrude. For me, it's partially the fact that when I'm sitting in front of a keyboard, I'm accustomed to typing whatever I need directly into Chrome's address bar. It's just much faster and more natural for me to open up a browser tab and type in "weather" than it is to hit the Assistant key and type (or say) "what's the weather" there, for example. The same is true for switching over to my Gmail window and hammering out an email as opposed to hitting the Assistant key, typing (or saying) "send an email," and then following the prompts there to do the same thing. Even with something like a reminder, I'm far more likely to open a new tab and type "remind me to [do whatever] tomorrow at 2pm" than to do that via the Assistant key, even though I'd get the same result from either path. Beyond that, though, when you do use the Assistant on a Chromebook, it's often an awkward and incomplete-feeling experience — like the Assistant doesn't quite know it's on a laptop all of the time. When you ask Assistant what it can do on a Chromebook, for instance, it pulls up suggestions for tasks like sending messages or making calls — but if you try either of those options, it then tells you that it can't actually do those things on your device. Um, right. There's certainly a fair amount of stuff Assistant can do in that environment — finding answers, looking up info, performing translations or calculations, and so on — but it just never feels like the most natural or direct way to accomplish those tasks. And while there's certainly something to be said for the cross-platform and cross-device consistency having Assistant on a Chromebook provides, I've never quite figured out how to incorporate it into my own personal workflow in any particularly beneficial way. From the looks of it, Google is well aware of this problem: The company is currently testing a revamp of the very way Assistant is presented in Chrome OS — one that would ax the current configuration and instead integrate Assistant directly into the Chromebook launcher. The under-development presentation is already live and available in the rough-around-the-edges Canary version of the operating system, in fact — and early attempts at activating it show Assistant essentially taking over the launcher's search function and acting as an all-in-one command prompt for anything you want to do. All right — so let's put the pieces together: Google makes its own hardware because it wants to control the user experience and emphasize its services, especially Google Assistant. Chromebooks already have a consistent software experience — and the company's initial approach of offering Assistant on them via a dedicated hardware key, which only its own self-made devices currently offer, hasn't exactly panned out or reached any level of critical mass as of yet. And now, Google is looking at a totally different method of integrating Assistant into Chromebooks that'd make it entirely software-based and a core part of the actual operating system on any Chrome OS device, regardless of its hardware specifics. Given all of that — and the fact that, by most signs, Google's self-made Chromebooks have remained low-volume, niche-oriented products — why would Google devote resources to expanding the product line further with additional price points or styles? Unlike on the Android and Google Home fronts, trying to claim a large chunk of the market with its own products isn't serving the company's primary goals and seems fairly unnecessary, all considered. Really, at this point, building and selling more self-made Chromebook models would offer minimal value when it comes to the goal of providing a uniquely optimal user experience in which Google services can shine — because hardware niceties notwithstanding, the same exact thing can be accomplished on any Chromebook, especially once the pending Assistant revamp makes its way across the ecosystem. On the surface and with lots of wild and completely unsubstantiated conclusion-jumping involved, the headlines surrounding that initial news seemed outright shocking — but when you step back and carefully think through the whole situation, it suddenly doesn't seem like such a crazy surprise. If anything, it seems sensible — and a far cry from any of the doom-and-gloom interpretations some drive-by analyzers spewed out with minimal thought or perspective. It's amazing what a little careful consideration can do, isn't it?